Yarone Zober is the Chief Operating Officer of McKnight Realty Partners. Yarone previously served, from 2006 until 2014, as the Chief of Staff to the Mayor of the City of Pittsburgh. His primary focus, as Chairman of the Urban Redevelopment Authority of Pittsburgh, the city’s economic development arm, was to design and implement the area’s economic development strategy. This effort resulted in billions of dollars of city-wide investment including new corporate headquarters and skyscrapers, multipurpose arenas, and office, hotel, residential and retail development throughout Pittsburgh’s neighborhoods and downtown. These accomplishments led to attracting the G-20 to Pittsburgh in 2009 and to annual accolades for the region and its economic growth climate. Yarone previously served as Acting Mayor of Pittsburgh during the illness of a prior Mayor. 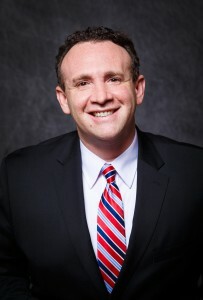 Yarone earned his law degree from the University of Pittsburgh, where he was a member of the Law Review, and his master’s degree from Carnegie Mellon University. He practiced law with the firms of Reed Smith as well as Obermayer Rebmann Maxwell & Hippel. Yarone currently serves on the boards of the Civic Light Opera and the Carnegie Science Center. He previously served as Chairman of the Urban Redevelopment Authority and the Pittsburgh Parking Authority, and a member of the Pennsylvania Tax Reform Commission, the Southwestern Pennsylvania Commission, the Pittsburgh Downtown Partnership and many other boards, authorities and commissions.